1. Instead of Saturday night fever, you will find people are more excited about Tuesday night…that’s the day when glorified crowd of Fazilka can be seen is various temples across the city. 6. Where ‘notes’ are more popular than text books and studying in schools during their 10+1 and 10+2 classes is an outdated fashion especially amongst science students. 7. Where most of the teachers are more popular for tuitions than their regular teaching in schools. 8. A place where in only college in the region first year Bachelor of Arts class strength exceeds 1800 student. 11. Wearing Adidas/Nike shoes with white kamij pajama is a style statement of Fazilites. Anyone roaming with this dress in Sector -17 Chandigarh is must deal that he is from Fazilka. 13. Where only two, Paras and K.D.Verma Tailor stitching clothes for most of the females in the city. 14. Abohar is most preferred destination after Chandigarh, to buy first denim wear by most of the youngsters living in Fazilka. 16. Where “Chana Soup” is more popular than any other soup. 17. Only place to date with your counterpart is either “Kataria or Jagdamba Café” or go to Abohar in Bus. 18. Where most of the people prefer to develop links with Indian Army/BSF people to get advantage of CSD Canteen. 19. Place where all “Astha or Jagran TV Channel” celebrities love to visit frequently. 20. A place where studying of their children in Chandigarh is a status symbol, no matter what course his/her child is doing. 21. A place where in cinema halls, popcorns are being sell in balcony/hall with new name “Popneee”. 22. Hero Panther moped is an official bike for commuting over here, recently it has been replaced by Honda Activa. 23. A place where local “Tania Beauty Parlor” can beat the popularity of Shehnaaz Husain or Vandana Luthra. 13. Where only two, Paras and K.D.Verma Tailor stitched clothes for most of the females in the city. 14. Abohar is most preferred destination after Chandigarh, to buy first denim wear by most of the youngsters than Fazilka. 24. A place where, Bansi De Pakode, Des de kachori, badri de gol gappe, Sharma ji de dahi bhalle near clock tower, roshan de tikki, bansal de chole bhature, jaggi de dal makhni, daulat de kulfi & kesar milk, PNB street wale chole kulche and sanwaria da soup are more popular than any famous processed food giant Starbucks, Mc Donalds, Pizzahut or Subway products. Daytime ban on vehicles in city center expected to put pressure on other Indian cities to reduce pollution. A small town in Punjab has become the first place in India to restrict vehicles from the city center during daytime hours. Fazilka, near the India-Pakistan border, announced the 12-hour-a-day ban around its clock tower for motorized four-wheel and heavy-duty vehicles. Officials wanted to make the area bicycle- and pedestrian-friendly while reducing pollution, estimating that nearly 80 percent of its air pollution is attributable to the transportation sector. 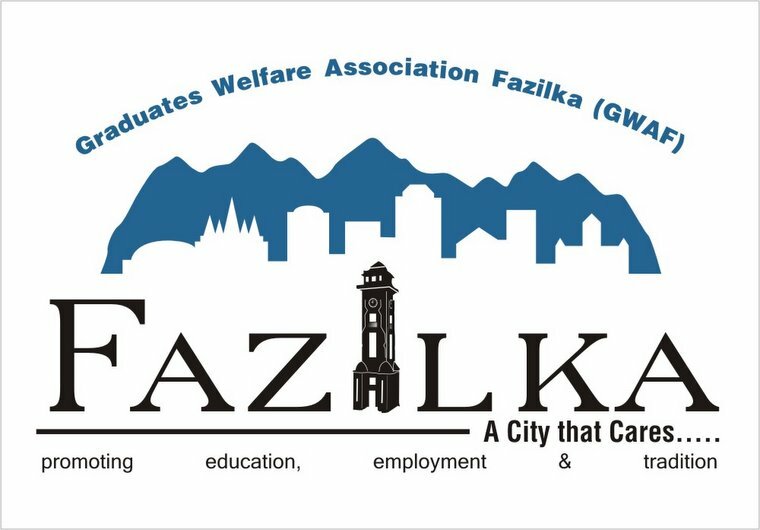 The officials based their opinions on findings in a weeklong case study last year by the Graduates Welfare Association Fazilka. "The aim to create car-free zone and also to promote NMV mode of transport within city to build bridges between the prosperous sections of society in the city and the less well-off," Fazilka Municipal Council President Anil Sethi told Asian News International.